Did anyone else read that Jimmy Buffett plans to open a retirement community in Daytona Beach based loosely around his famous “Margaritaville” song? I did, and I’m down. The community, set to open Fall 2018, will have a total tropical vibe with a pool with cabanas instead of a park or statue like most town squares and promises to embrace the relaxed lifestyle epitomized in Buffett’s songs. Music, food and beverages will be big part of the 6,900 home community, and you never know when Jimmy himself might show up for an impromptu concert! It’s perfect timing to announce his latest venture, as today is “National Margarita Day” and any day is the perfect day to have a margarita. 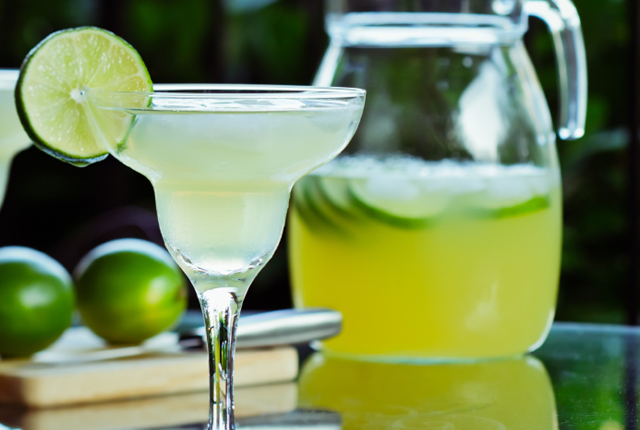 Considered the perfect cocktail by so many, Margaritas are not only popular, they are legendary. What other drink is the subject of a song that you know all the words to? Yeah we’ve all sang “Margaritaville” right along with Jimmy Buffett and we’ve all searched for our lost shaker of salt, but do we know why we sing it and why we drink them? 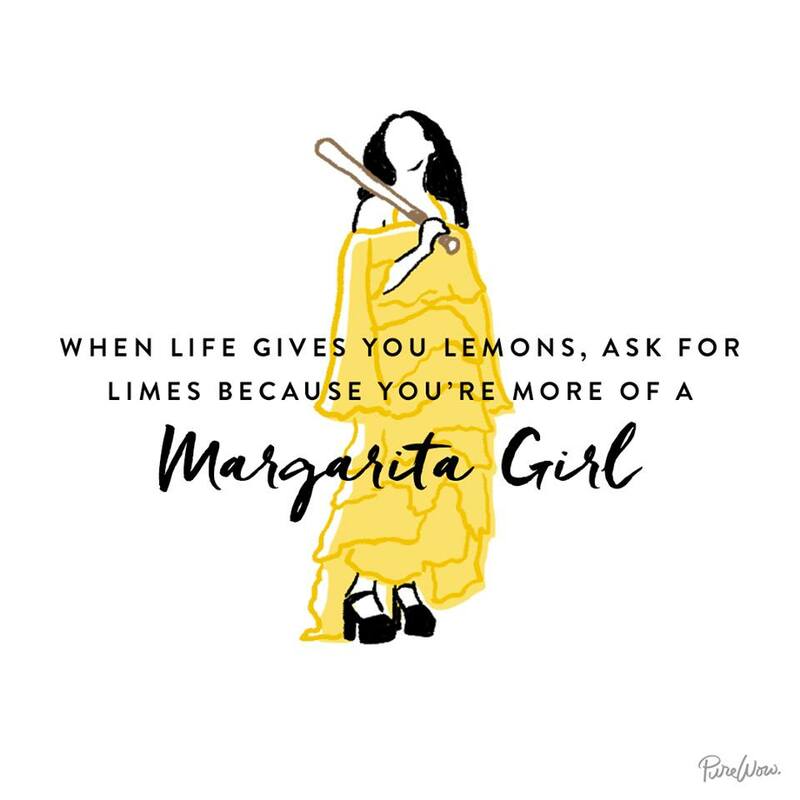 We sing it because it’s a fun song and we drink them because they are the perfect combination of sweet and savory, but who invented the margarita? There are as many legends as to who to credit as there are legendary hangovers blamed on them. Most historians credit Carlos “Danny” Herrera for inventing the mix of triple sec, tequila, and lime juice back in 1938 at his restaurant Rancho La Gloria somewhere halfway between Tijuana and Rosarito, Mexico. Apparently his customer, former Ziegfeld dance Marjorie King, was allergic to all alcohol except tequila so Herrera combined the elements of a traditional shot of tequila – a lick of salt and a wedge of lime – and made a yummy drink out of them. A few years later bartender Albert Hernandez started serving the cocktail at La Plaza outside of San Diego in 1947, and the rest is salt or no salt history. Maybe. Yet another commonly accepted margarita origin story credits bartender Don Carlos Orozco with its creation. Orozco had been experimenting with drinks in Hussong’s Cantina in Ensenada, Mexico and offered one to Margarita Henkel, the daughter of the German ambassador. His version consisted of equal part tequila, Cointreau orange liqueur and lime, and its name is self explanatory. Still another claim to margarita fame comes from Juarez, Mexico and Tommy’s Place Bar where it is said that in 1942 Francisco “Pancho” Morales mixed the first ever margarita. Mexico’s official news agency and many experts say Morales has the strongest claim to having invented the Margarita and they are sticking to their story. I also like the story that Dallas socialite Margarita Sames concocted the drink for her guests at her Acapulco home in 1948 and that Tommy Hilton returned to the states and started serving them at the Hilton chain of hotels. But, according to Jose Cuervo, (yes, THAT Jose Cuervo), the cocktail was invented in 1938 by a bartender in honor of Mexican showgirl Rita de la Rosa. Lastly, one tale begins the drink’s history at the legendary Balinese Room in Galveston, Texas. It was there, in 1948, that bartender Santos Cruz reportedly created the drink for singer Peggy (Margaret) Lee and named it after the Spanish version of her name. So many origins, so many tales. Ironically, “margarita” is a German form of the name Margaret and was introduced to Mexico with no Hispanic origin. In Spanish, “margarita” means “daisy so my guess is the drink was named after someone rather than for literal purposes. Pour over crushed ice, stir. Rub rim of stem glass with rind of lemon or lime and spin in salt. That recipe pretty much holds up today, although many say a margarita in its classic form consists of tequila, lime juice, and Cointreau or Triple Sec. Margaritas of every kind pack a lot of proof in their punch, even more than Manhattans, which taste like they have so much more alcohol in them. In fact, one standard margarita has just over 33 percent alcohol, about the same as a martini and more than double a bourbon and water, Screwdriver, Mojito, or a vodka or gin and tonic. They also have a lot of calories, but let’s not ruin the day. Tomorrow: skinny margs! Due to their high alcohol content, it’s not unusual for a restaurant to limit the number of margs you can order. But, don’t tell that to the 2012 California State Fair, which hosted the largest margarita ever according to Guinness World Records. That’s when the “Calarita,” which contained 4,650 bottles (2,100 gallons) of tequila and 8,400 gallons of margarita mix, took a 20-horse-power blender to mix the 25-tall, 10,500-gallon cocktail. Think of the calories in the puppy! 1 small can frozen limeade then, using the empty limeade can, measure 1 can tequila and one can of beer. Mix with ice and serve. Trust me, the beer makes all the difference. 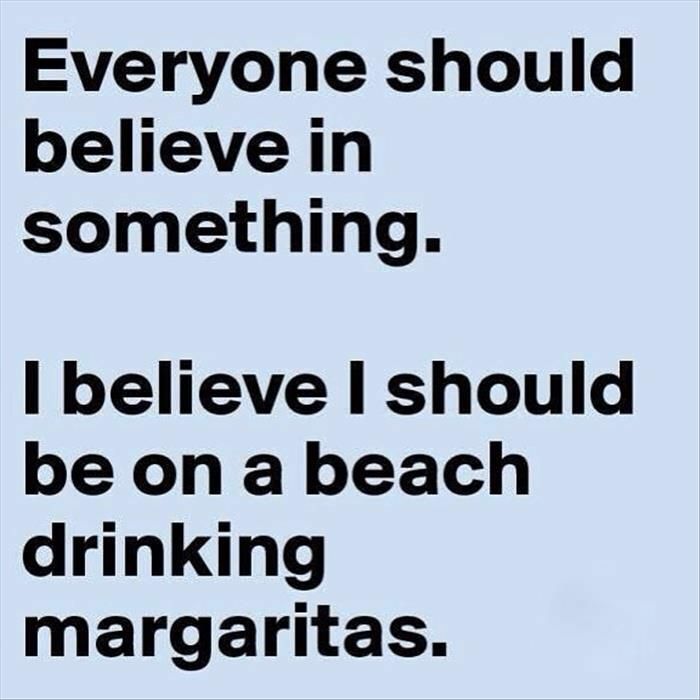 If you don’t believe me or are more of a traditionalist, substitute the beer with Cointreau or Triple Sec for sweeter margs. There’s also the yummy “Cadillac Margarita” made famous at Nuevo Laredo’s Cadillac Bar, which has you shake tequila, Triple Sec, sweet and sour mix, and lime juice with ice. 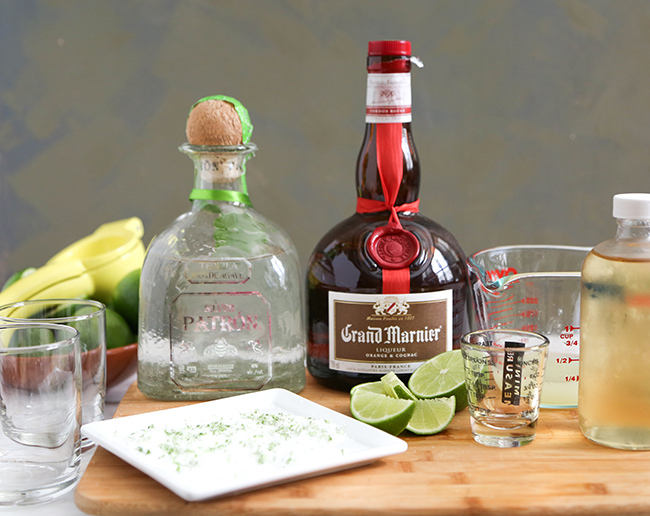 Pour over ice in a traditional margarita and salt-rimmed glass and then “float” Grand Marnier on top. Delectable! So enjoy a margarita today and think of all those who came before you. But, whether you order salt or no salt; rock, frozen or up; drink responsibly and don’t drive. Salud! I’m in for retiring in jimmy Buffet land! I’m in for retiring to Jimmy Buffet land.